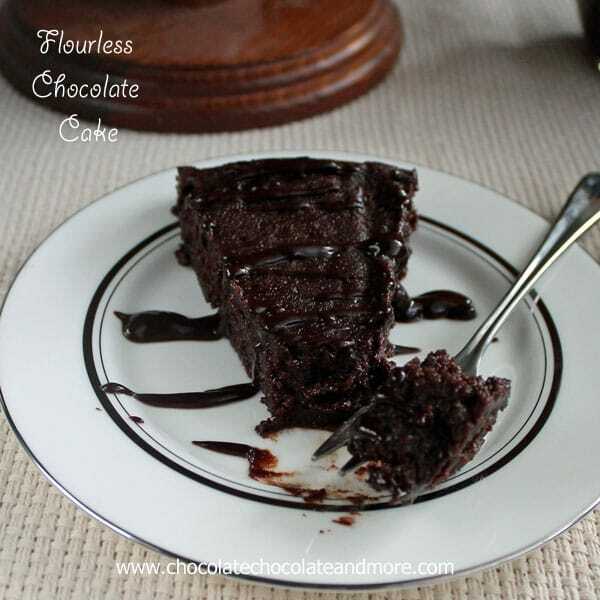 Flourless Chocolate Cake - Chocolate Chocolate and More! Being a food blogger has lead to some amazing friendships. It’s really not surprising. Food brings people together. No matter what your politics, your religion, your other beliefs, most people can agree on good food. This is especially true of the food blogging community. It doesn’t matter if you are a sweets blogger, a healthy food blogger, vegan or paleo, it’s still all food. I’ve met so many amazing people along this journey. One of those people is Lori Lange. Not only is her site Recipegirl amazing but she’s also got a cookbook with many of her favorite recipes.
. It’s been on my wishlist forever! You can tell by all the tabs, There are so many recipes I want to make! Each chapter is broken down into a meal time. Breakfast, Lunch, Dinner, Sweet treats, there’s even a Happy Hour Section. I’m looking for a reason to make the Blueberry-Pineapple Tequila Punch! Lori offers not only the basic recipe but great ideas to change it up along with complementary serving suggestions. At the back of the book, she even has party planning ideas with complete menus to ensure your guests will leave raving over the food! So far I’ve made her Lemon and Herb-Marinated Grilled Chicken, the kids couldn’t get enough of it. I grilled it on my George Forman Grill soooo good! And I’ve made this Flourless Chocolate Cake. So easy to make, So gorgeous on the plate and OMG! melt in your mouth, squeeze your sides like the cartoon dog, good! I could go on and name every recipe in the book! Spray an 8 inch round cake pan and line bottom with parchment paper. 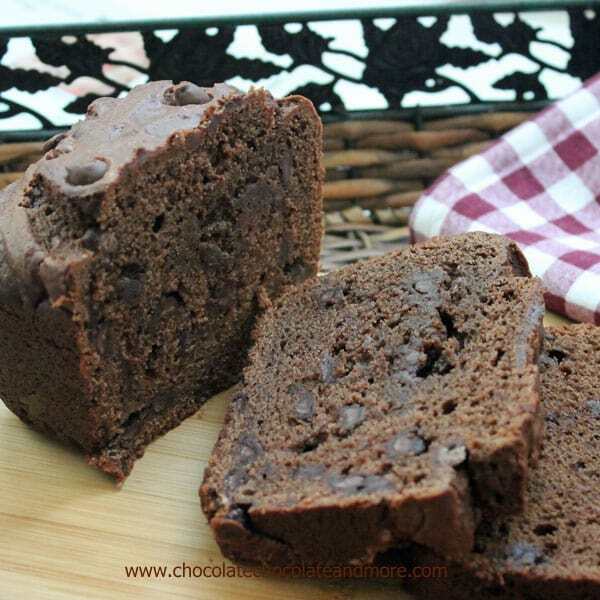 for the cake-in a medium bowl, microwave chocolate chips and butter for 1 minute. Remove from microwave and stir until chips are completely melted and chocolate is smooth. If necessary microwave for an additional 30 seconds. Using a wire whisk, stir in sugar and eggs, making sure to blend completely. Pour batter into prepared pan and bake in a preheated 350 degree oven for 30-35 minutes. You should have a crust on the top, like a brownie. Let cake cool in pan for 20-30 minutes. Run a knife around the edge of pan to loosen edge, then turn cake out onto a wire rack to cool completely. For ganache-place chips in a small heat proof bowl. In another small bowl, microwave cream for 30 seconds on high, until almost boiling. Pour heated cream over chips and let rest for a minute before stirring. Continue to stir until chips are completely melted and chocolate is smooth. 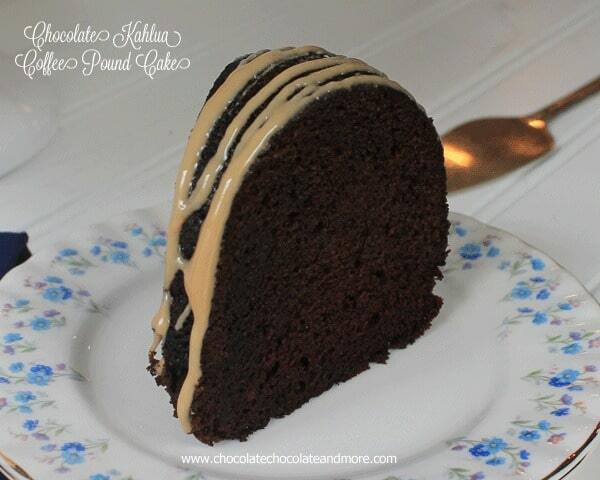 Drizzle ganache over entire cake or each slice as you serve. Now since I’ve been bragging on how fabulous this cookbook is, Lori has generously offered to send one of you, my amazing readers, a copy of her book. Entering is easy, Just leave a comment here, telling me what your favorite meal of the day is! It’s that simple. Then just click the rafflecopter entry that you left a comment. on Amazon or you can find it at Target! It looks delicious!!!! I have to try this recipe!!!! And my favorite meal of the day??? Does dessert count??? Oh yum! I’ve been wanting to make this forever!! And I love Lori’s cookbook. I agree— so many great staple recipes and fun new ones 🙂 Great review, and I love the recipe! My favorite meal of the day is breakfast. It is truley hard to perfect. And second reason is BACON! Dinner time is my favorite! I sharing a good meal with family! Hi, I have tried several times to leave reply re: cookbook but am not able to leave my comment which is “breakfast”. I was able to log in but that was all. Only one person has logged in for this so I would have been #2. My favorite meal is dinner, my hubby and I have time to enjoy a good meal and discuss our day. My favorite meal of the day is any meal with dessert . That’s a tough one, Joan. I l ove all the meals of the day (cause I love to eat). I have to say breakfast though. It’s such a luxury to sit down and enjoy a big breakfast. This cake looks amazing! I LOOOVE Lori!!! And I would love her cookbook! This cake looks so delicious! It will go great after dinner, my favorite meal of the day! I love all meals of the day, but probably breakfast the best because I can eat it all day long. This looks so good, and I love that it only has a few ingredients! ! I can’t wait to try it out! Have this in the oven right now! Favorite meal is breakfast. Full blown, cook all morning type. Yeast waffles with maple syrup, bacon, hashbrowns, big glass of ice cold milk and hot cup of java. Looks delishious!! I’m def going to have to try this! I follow her blog and love her recipes, especially her desserts! I recommend the Monster Cookie recipe, I make them for my kids’ lunch and store them in the freezer, taking them out the night before. fantásticas recetas ,justo las que necesitava. This looks amazing!!!!!!! The cookbook as a giveaway is an excellent idea – best of luck everyone. Breakfast definitely, but dessert is a close second. This looks great and I need a gluten free recipe for an outing, so thanks! This is perfect. Thanks so much for sharing this with us at Marvelous Monday! I love how chocolately it looks and easy too – pinning! This looks super yummy 🙂 My favorite meal of the day is Dinner 🙂 I enjoy trying new things and it’s the time of the day that we all get to sit as a family. I’ve never made a flour less cake before. Yum, it looks good! This looks so rich and fudgy. I almost licked my screen, Joan. Yum. I’ve only tried a few of Recipe Girl’s recipes from her site, but when you made this and also mentioned clam chowder, you won me over! Thank you for sharing these yummy photos and the recipe with us here today. I have never tried a flour less cake. I’m excited to try making it and more excited to taste it. I love all desserts… and breakfast, lunch, dinner…. lol food in general. I follow your blog and would love to have your cookbook! This looks so good, and so simple, I can’t wait to try it! That cake looks delicious. Can’t wait to try it. My favorite meal is supper. When my family & I get to sit & enjoy the food & eachother!!! My favorite meal of the day is usually dinner. Breakfast and lunch are on the go for me, so I enjoy sitting down with my husband to a homecooked meal and talking about our day. OMG…….Have I died and gone to chocolate Heaven? All of these things look so good. This is like my very own Willie Wonka Chocolate Factory! Can’t wait to try all of them…….hum…..that just might add a couple of ounces. Other than dessert, my favorite meal of the day is dinner. Lunch and breakfast are always so rushed. I would Love to win this cookbook! Everything looks so yummy! I’ve made flour less cookies before, but I’ve never made flour less cake before! Can’t wait to try it, Thanks for sharing! My favorite meal of the day is Dinner/Desert! All your recipes look great. I would love to win your book. Breakfast is my favorite meal, we even have breakfast for supper sometimes. My favorite meal is supper (or dinner, as the case may be), and I definitely LOVE dessert. I would love to have the book! 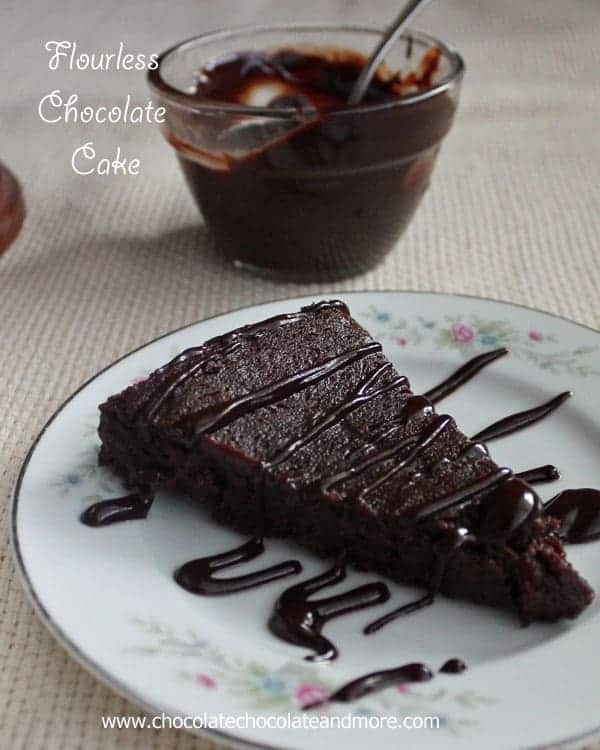 As I’m not a fan of bittersweet chocolate, can I use milk chocolate instead for this cake recipe thanks..
my FAVORITE is prolly dinner, because around here it’s the only meal that has dessert after! My fave meal of the day is dinner! Love having the hubby be home so we all can have a delicious family meal and plus I love to cook a big dinner! I love Breakfast…am raising 4 grandbabies, ages 1, 3, 4 and 7,(all birthdays between Dec. 7the and Feb. 14th), and hanging out for a bit at breakfast gives us a chance to wake up and connect before starting in on another crazy day…. Always looking for amazing new recipes and your sound delicious! I am a cookbook addict and would love to win this one! My favorite meal is breakfast. my favorite meal is dinner-I would love to try some of the recipes from Lori’s new cookbook. thanks for the chance! My favorite meal of the day is dinner. Everyone is home from work/school & we can spend time together discussing the day’s events. 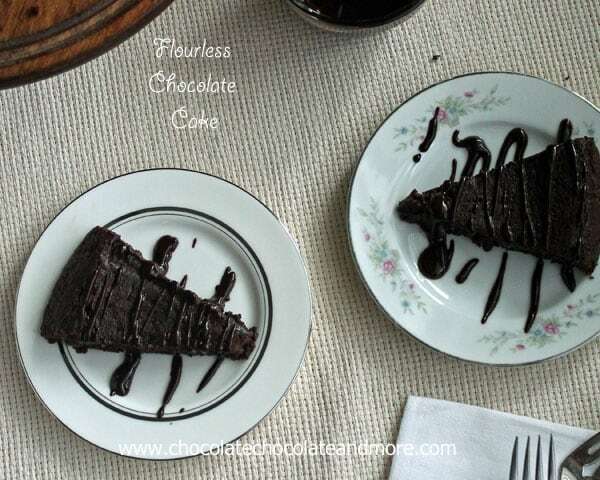 I think I will make that “Flourless Chocolate Cake” tonight. Looks yummy. 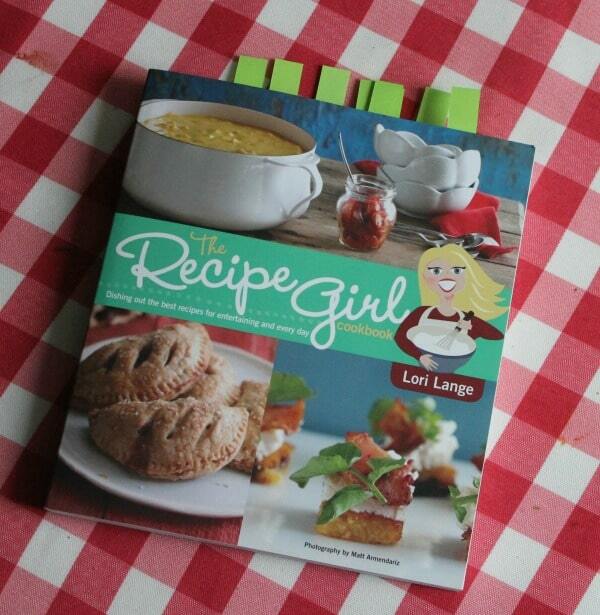 I love The Recipe Girl!! And that chocolate cake looks awesome! Breakfast! Or even better, brunch! I wish I could live on chocolate. Breakfast is my favorite, especially if warm chocolate croissants are making an appearance. Hello. These recipes look great! I would like to win. My favorite meal is a tie between dinner and brunch! I love a nice early dinner….and anything that includes chocolate! These recipes look divine, thanks for the chance to win! My favorite meal is lunch! My favorite meal is definitely breakfast! My favorite meal is either dinner or dessert. Dinner because it’s the bigger meal, dessert because it’s a treat! Wow that looks good! I’ve been wanting to get her cookbook because all the recipes I’ve seen from her all look so good! Yummo! Anything chocolate, but a chocolate cake? Super yummo!! Dessert! Wait, that is a meal isn’t it? My favorite “normal” meal of the day would be dinner, unless there are pancakes for breakfast! Wow!! That cake looks awesome!! my favorite meal is pizza – a ‘white’ pizza with cherry tomatoes, basil and fresh mozzarella di bufala at our favorite pizzeria in Umbria. After living in Italy for seven years my favorite meal is ANY meal in Italy, really! My favourite meal is breakfast! 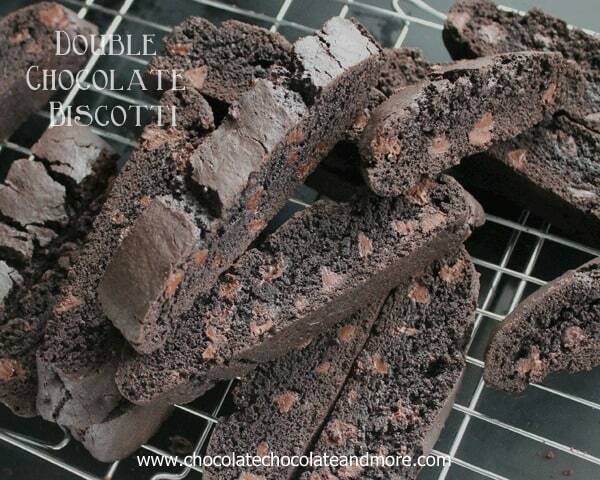 Super chocolatey and gluten free. Yum! Going to try this recipe. I can’t wait to try this recipe. I don’t think I’ve ever made a cake without flour before! I love chocolate Joan and you cake is so delicioso!!! My favorite meal is breakfast. I eat it all through the day! Breakfast is my favorite meal. Love to start off with my real coffee. Can’t wait to try this decadent looking, gluten free cake. My favorite meal is breakfast because you can make it any time of day!!!! Lunch is my favorite meal. Can’t wait to try that cake for lunch! My favorite meal is breakfast- mostly on the weekends! Breakfast is my favorite meal of the day. I always wake up so hungry and have to eat right away! This sounds wonderful! I’ll be making this today! Thanks! My favorite meal is breakfast! 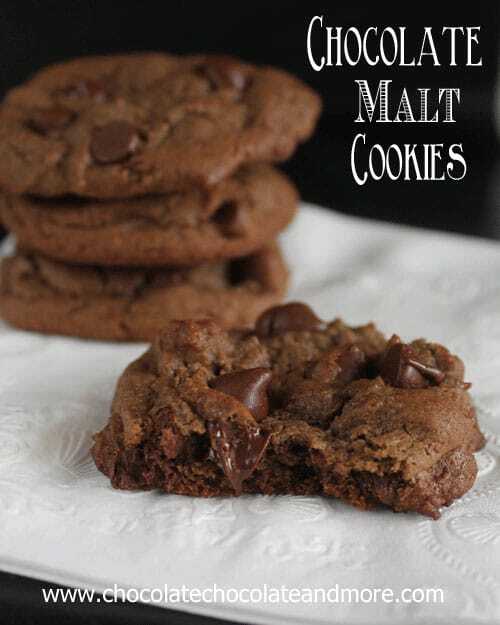 I must make this chocolate delight! My favorite meal has to be dinner. I have a major chocolate craving now!!! Breakfast foods are by far my favorite…even for lunch and dinner! Would love this cookbook for our collection. This recipe looks so good, bet it wouldn’t be around for too long. I can’t wait to try Lori’s cookbook – this is all my favorites in one place. This is the perfect dessert for me to make today for company! Thank you for posting it, you’re a life saver! 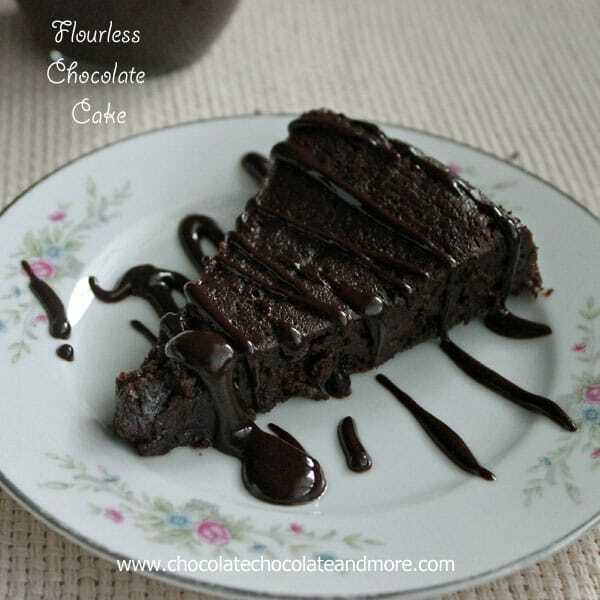 Just made this flourless chocolate “cake” and while it was tasty, it was nothing like a cake. More like a dense pudding. I followed the recipe to the letter, even gave it the longer baking time suggested in the recipe, but suspect it could have used 5-10 more minutes. Good with vanilla ice cream. I have tried this recipe several times, topped it with whipped cream and berries and everybody loved it. Only problem is you can never eat more than one piece at a time. 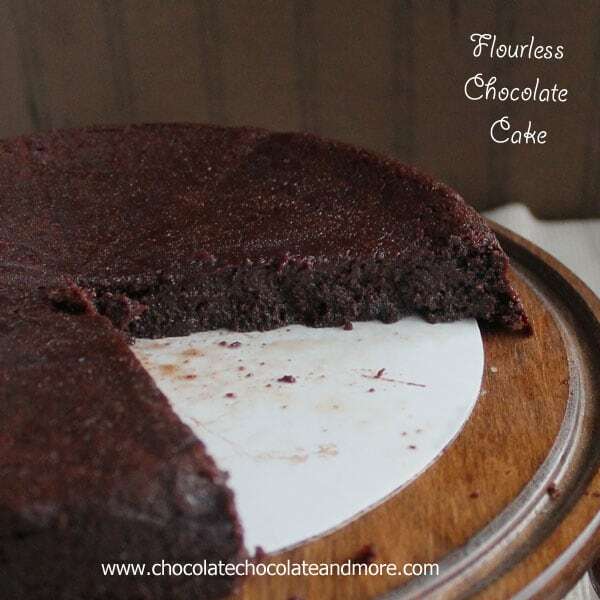 Made the Flourless Chocolate Cake today and I must say this is the BEST cake I have ever had… It was also the easiest cake I have ever made…. Thank you so much for sharing this recipe. Thank you for sharing this recipe! We are a “new” gluten free family and now I have a fun new cake to make with my son. We love to bake together and finding recipes like this make it easier for us to still enjoy good desserts! You’re very welcome. I love that you’ve got your son in the kitchen with you, baking memories and teaching him about cooking/baking at the same time. 3 weeks in a row!!!! The BEST cake ever!! My husband is a chocoholic, if it’s not brown he will not even taste…. Sooooo I am always trying new cakes. I think i found THE one. Thank you. So glad your husband is enjoying it! Love new recipes! The Bacon Wrapped Meatloaf with Brown Sugar Glaze is something that will surely not last in our house!